Our planet is home to many ancient wonders shrouded in mystery. Some of these wonders are not well-known, making them especially fascinating travel destinations. What is most amazing about visiting these ancient sites is that no matter how much research you do or how knowledgeable local guides are, you will likely still leave with more questions than answers. When you are planning a trip to visit a site of ancient ruins, it can be helpful to research what you are allowed to bring in, recommendations on what to pack and wear and how to prepare. As well, you may want to research peak visitation periods so your search for cheap flights factors in times when your costs are likely to be lower. Here are seven mysterious sites you might want to consider visiting during your adventure. Easter Island is located just off the coast of Chile. It is distinguished both by its population and its isolation. The terrain is geologically quite young, yet its civilization continues to struggle to sustain itself. This has resulted in several notable yet (to the outside world at least) somewhat mysterious declines in economic and social wellbeing that its native people, the Rapa Nui, have endured through time and as their culture evolves. The Plaza at Giza is home to the Pyramids of Cairo, Egypt. Now known to have been constructed more than 4,500 years ago, the pyramids at Giza are one of the best-known ancient ruins in the world and attract thousands of tourists annually. However, the continual stream of visitors has done little to solve the mystery of how the ancient Egyptians built these amazing stone structures. Whether you have previously been to Cambodia or not, no visit will ever be complete without seeing Angkor Wat. This 12th-century temple complex is situated literally in the middle of the vast Cambodian jungle. The jungle and the temples are so intertwined that sometimes it becomes difficult to tell which is which. There are more than 100 stone temples in the complex and the site is considered one of the foremost sacred sites for Buddhists worldwide. This large temple complex is located in Bolivia. It is part of the larger Tiwanaku site, which the ancient Incans believed to be the site where the world first began. After enjoying several hundred years of what is thought to be immense prosperity, the entire culture dissolved mysteriously somewhere around 1,000 A.D.
Chichén Itzá is the site of one of the new seven world wonders and includes the famous Kukulkan Pyramid. Located in the Yucatan Peninsula in the state of Yucatan in Mexico, Chichén Itzá arose to prominence in 800 A.D. and lasted until 1200 A.D. Today Chichén Itzá has been designated as a UNESCO World Heritage site and has been named one of the new seven wonders. It is full of secret rooms and passages, harkening back to its days of mysterious practices like human sacrifices and continual power struggles. 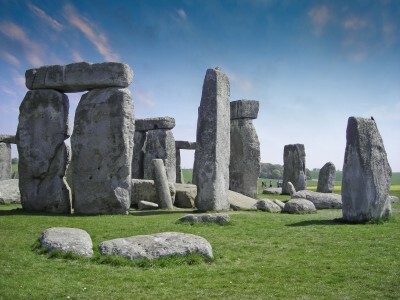 Located in Wiltshire, England, Stonehenge is another very famous world wonder. The ring of standing stones, each set into its own earthenware foundation, is thought to be as old as 3,000 B.C. No one knows how the stones were transported or set or what their significance is. The word “megalith” simply means “large interlocking stone structure.” All that is known about the stone structures in New England is that they seem to indicate an intelligent race of people lived in the area thousands of years before the birth of Christ. Very recently, a structure estimated to weigh 60,000 tonnes (larger than a battleship) has been discovered beneath the peaceful waters of Israel’s Sea of Galilee. A sonar survey detected the structure in 2003 and just recently it was estimated to be more than 4,000 years old. No one knows how it got there or what it was used for. These seven mysterious sites all offer a great way to learn more about human history, marvel at unsolved mysteries and thoroughly enjoy your next trip! About the Author: Sheila Davies studied archeology and history in college. Motherhood sidetracked her career plans, but after her youngest left home, she and her husband began travelling to explore the great ruins around the world.